Former WBO heavyweight champion Joseph Parker 25-2 (19) will meet with his family and team on Wednesday night to explore options for his boxing future. Parker’s promoter David Higgins has called the meeting to discuss a number of deals that are believed to include signing with Top Rank and ESPN, joining forces with Matchroom Boxing and DAZN, or remaining independent from the sport’s big promoters. 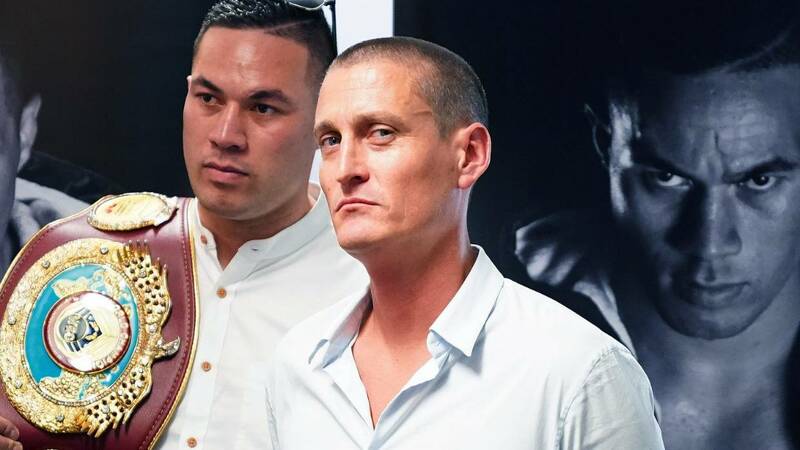 “This week or next fortnight will be a pivotal period in terms of Joseph Parker’s career and some major decisions are going to be made, including the possibility of a restructure,” Higgins said to Stuff.co.nz on Tuesday. With the leading heavyweights aligned with different promoters and networks, there are a number of pros and cons to consider. Unified heavyweight champion Anthony Joshua is with Matchroom and DAZN; WBC champion Deontay Wilder fights on Showtime; and Tyson Fury recently signed on with Top Rank and ESPN. “Joseph is one of the later cabs on the rank in terms of committing longer term to one of those major players,” Higgins continued. “He is yet to show what he is capable of. He is the youngest of the bigger names and he has had a bit of a run of bad luck. I don’t think we have seen the best of Joseph Parker. “In economic terms, he’s an under-valued asset. Higgins hasn’t ruled out maintaining the status quo and pursuing a fight against perennial contender Dereck Chisora in July. “Imagine if we don’t commit yet and we go and knock out Chisora at the O2 Arena in London on Sky Sport globally… suddenly Joe’s stocks go through the roof and the world’s his oyster. We could legitimately call for a rematch with [Dillian] Whyte and the sort of offer for longer-term deals might double in value,” Higgins added. Regardless of the result of the summit, Higgins insists he will remain a guiding figure in Parker’s career.